Kerala - The God's own country - is famous for its back waters, trekking trails and enchanting beaches. There is a usual tourist circuit in Kerala, which most of the tourist follow. However, Kerala is much more vast and diverse. This article gives insights into the some of the rarely visited, yet fabulous offbeat destinations of Kerala. Kava is a village located around 6km from the famous Malampuzha gardens and dam in Palakkad district. Kava is blessed with beautiful nature and surrounding mountains. However, the main attraction that set Kava apart from other destinations is the huge cloud formations in this region. The water from the Malampuzha dam reservoir and the western Ghats surrounding this area make it a serene place for solo travelers to sit and relax. It is an excellent place for photography as the huge clouds forms beautiful patters around the hills. Andhakaranazhy is located at 4 kilometers from the Pattanakkad in Cherthala Taluk in Alappuzha District. "Azhy" in Malayalam means a place where the backwaters meet the ocean. Thick sand sedimentation is formed due to this phenomenon. Andhakaranazhy is a coastal village and there is good beach and light house to enjoy an evening. There are also a few Chinese fishing nets, an icon of Kerala. The route to Andhakaranazhy via the Thanky - Andhakaranazhy - Pallithode beach road itself is a picturesque trip. The “Kallil” temple is an ancient temple located at the Eranakulam district of Kerala. The nearest towns are Muvattupuzha, Kothamangalam and Perumbavoor which are located approximately at 10km from the Kallil temple. 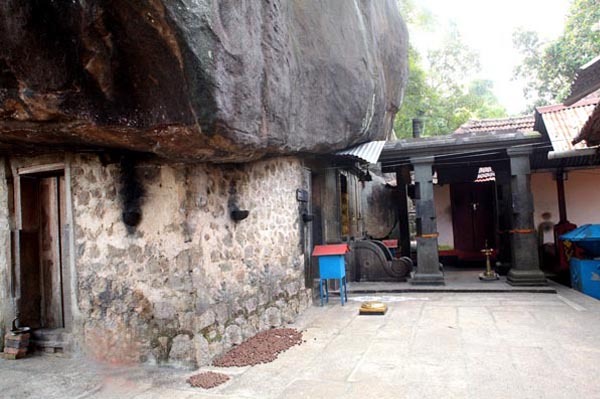 The unique feature of this temple is the huge rock boulder in which the temple is situated. 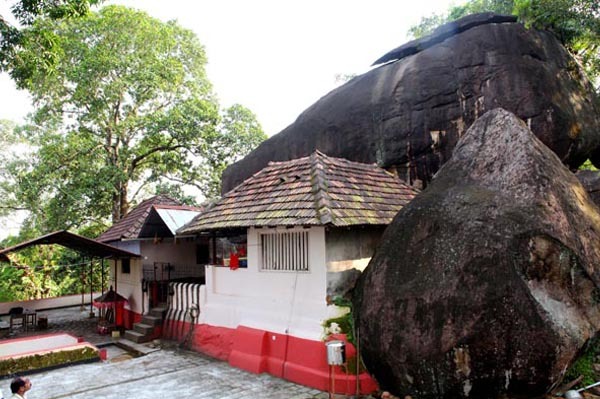 The name "Kallil" in Malayalam means "In Stone" and due to the rock boulder, the temple got its name. The archeology department has estimated that the temple might have been in use from 3rd century BC, and have started as a cave for meditation for Jain monks. Later it was converted into a Jain temple. The temple is located at an isolated place on top of a hill. The surroundings of the temple is quite serene and picturesque. In the modern times the temple has been converted into the a Durga (Goddes) temple, however the Jain roots of this temple is indicated by the Jain deities like Parshvanath, Mahavira and Padmavati devi. Currently the temple is managed by the Kallil Pisharody family. 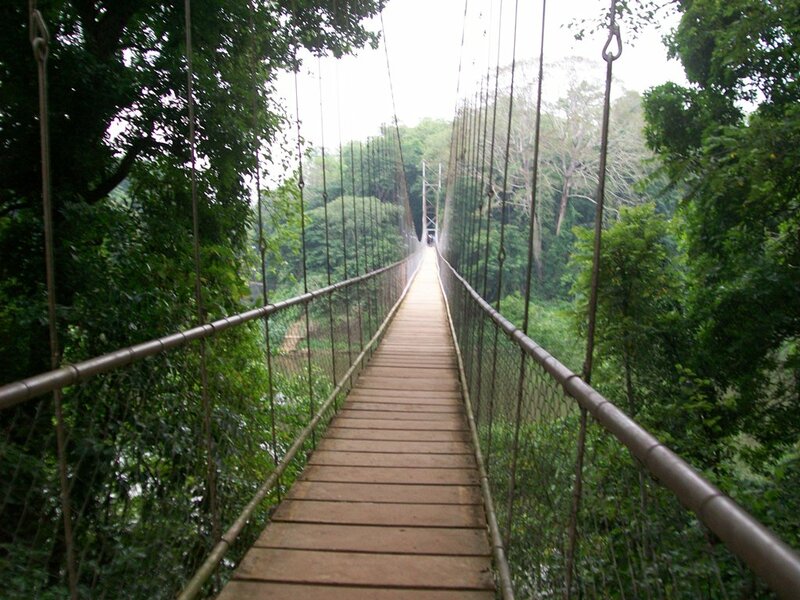 Nilambur, a town in Malappuram district of Kerala houses the oldest teak plantation in the world. Popularly known as the “Canolly’s Plot” or “Canoli Plot”, this teak plantation is named after Mr. H.V Conolly who was the Collector of Malabar during the period of 1841 and 1855. The Nilambur teak plantation was the brain child of Mr. Canolly. The plantation was completed in 1846 under the supervision of Sri. Chathu Nair - A native of Nilambur and an official in forest department.The teak plantation is located at 2km from the Nilambur town, near a place called Vadapuram. A hanging bridge leads us into the plantation. The plantation spread across an area of 2.3 hectares and open for visitors throughout the year. One of the main attractions in the plantation is the oldest teak tree in the world, which has a height of 46meters and girth of 420cm. Nilambur teak is a world renowned wood used for the building purposes. Sadly, during the World War 2, a huge area of the teak trees were chopped down to meet the timber requirements of the allies. The Nilambur teak plantation is a part of the Kerala’s eco-tourism project. The Mattanchery Palace, also known as the "Dutch Palace" is located at "Paravur" near Cochin. The history of the Palace goes like this: Portuguese, who had strong presence in the central Kerala around the 16th century plundered and destroyed a temple in the vicinity of Paravur, and hence displeased the Kochi Raja (King of Cochin). To pacify the King, and as a compensation the Portuguese built a palace and gifted it to the Raja in 1545. However, the name "Dutch Palace" has come from a later incident. In 1663, the Dutch renovated this palace and hence known as "Dutch Palace". 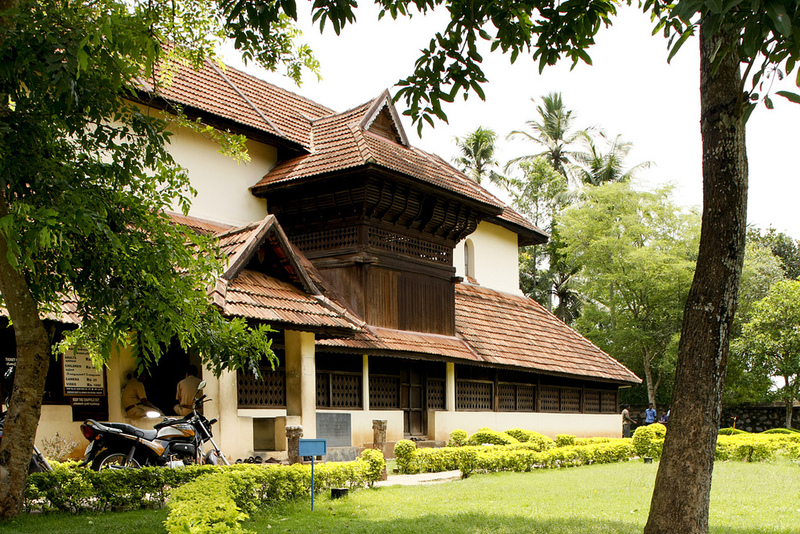 The palace is built in the traditional Kerala "Nalukettu" architecture blended with Dutch style. Currently the Palace is converted into a museum and run by the Archaeological survey of India. Many artifacts related to the Kings of Cochin are displayed in the palace. 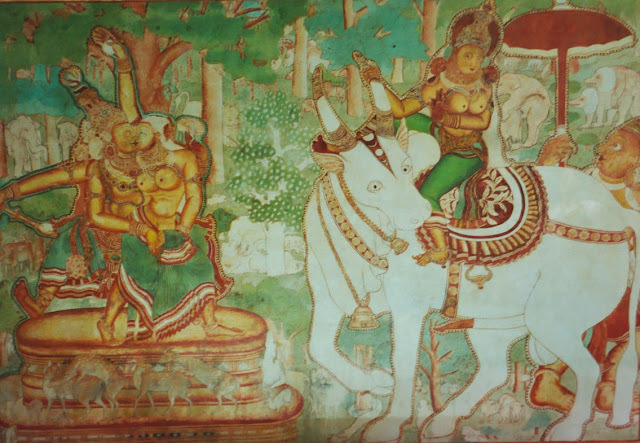 However, the most striking exhibits of the palace is a large collection of Mural paintings on the walls. Many scenes from the Hindu mythology and religion are depicted in these brightly colored murals. The central courtyard of the palace houses a shrine of "Shree Pazhayannur Bhagavathi (the Goddess of Pazhayannur)" - the tutelary deity of the royal family. Kerala has a few Jain temples dating between 9th and 15th century AD. Jainism got patronage from the Chera Kings of Mahodayapuram (near Kodungallur) and Ay Kings of South Kerala. 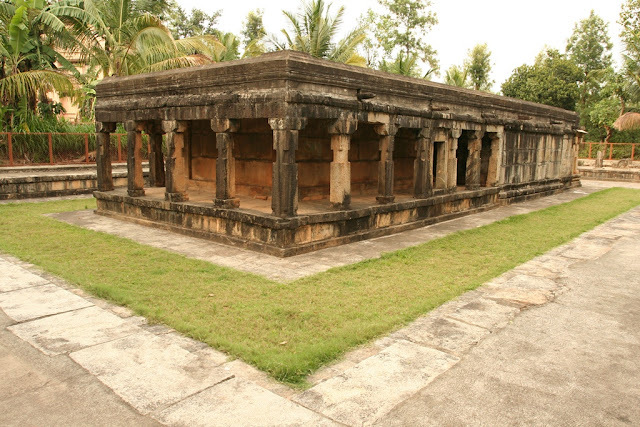 The Jain temple of Sulthan Bathery dates back to 14th century. It is granite structure with beautifully carved pillars and separate Namaskara Mandapa in front of the main Shrine. In olden days Sulthan Bathery was known as “Ganapathivattom” . Destiny had much more in store for this Jain temple. After the years Jainism declined in Kerala, it was converted into a popular spot for commercial trade. Later Tipu Sultan of Mysore took control of this temple and converted it into a storage place of ammunition (battery) for his marching armies. Hence the town was named “Sulthan’s Battery” and later colloquially known as Sulthan Bathery. 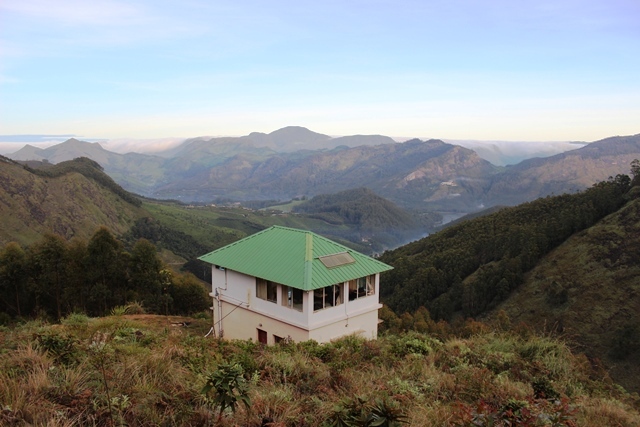 Meesappulimala is located at 33km from Munnar. Standing high at 2,640meters Meesappulimala is the second highest peak in South India. It is a part of the Western Ghats of India stretching from Maharashtra to Kerala. 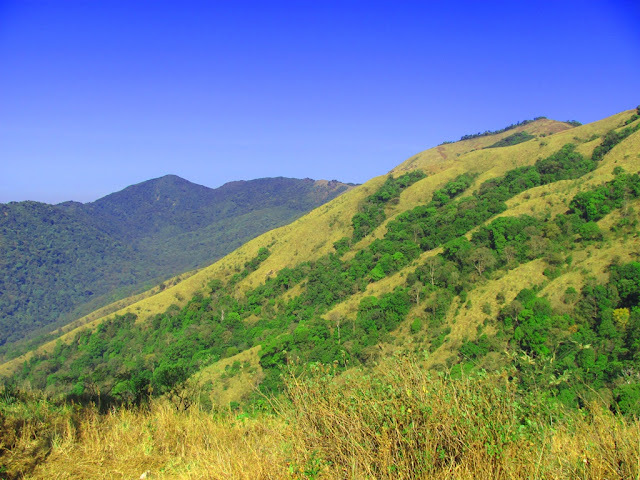 Western Ghats is a rich bio diversity belt, which has been declared as a world heritage site by UNESCO. There are trekking programs to Meesappulimala arranged by the Kerala Forest Department(KFDC). There are package treks of one and half day, including the night stays at the picturesque Sky cottage or the Rhodo Valley cottage. The base camp of Meesappulimala is located at silent valley, and from Munnar one can get Jeeps arranged to take you to the silent valley base camp. The sky cottage located in a very secluded place however there was no issue reported. Meesappulimala trek is a hard one, covering almost 25 kilometers in two and fro. A word of caution - be prepared for adventure and make sure you take extreme care while ascending and descending. 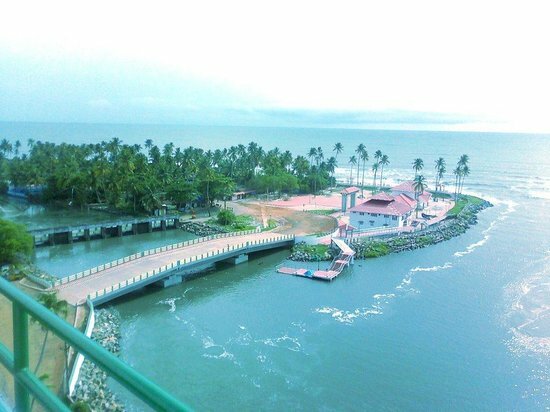 Darmadam Island is a five acre wide land visible from the famous Muzhuppilangadu beach of Thalassery, Kannur. The view of the Darmadam island from the beach is mesmerizing especially during the sunset. The Darmadam island is accessible through the Darmadam beach located at 6 km from Thalassery. The island has a single well, which surprisingly contains drinking water. Those who seek for adventure can also walk through the sea towards the Darmadam Island. However, care should be taken to walk only during the times of low tide. Never attempt to walk to the island without the supervision of a guide and make sure you return before the tide gets high. Pakshipathalam is a series of caves located at 7km from Thirunelli, in the Wayanad district of Kerala. Pakshipathalam is noted for its unique eco system and is the bird watcher’s paradise. Pakshipathalam is situated at the Bramhagiri hills at an elevation of 1740m above sea level and at a distance of 66 km from Kalpetta -the district headquarters. The word “Pakshipathalam” in Malayalam means the “abyss of birds” where “Pakshi” means bird and “Pathalam” means abyss. As the name suggests, one can sport a large number of bird species here. There is also a part where the roof of the cave is completely covered with bats. 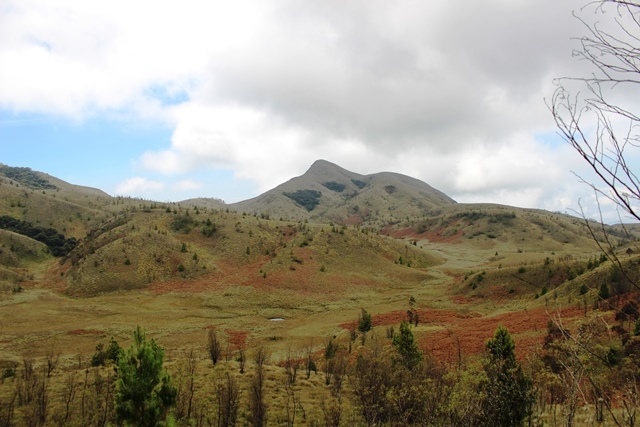 This is an ideal place for the adventurous trekkers. One needs special permission from the authorities to trek to Pakshipathalam. They also would assign a guide for the trek. The Anchuthengu Fort and beach is located at just 12km from the famous Varkala beach in the district of Thiruvananthapuram. (Trivandrum is the state capital of Kerala). It is located around 50km from Trivandrum main city. Anchuthengu was called by British – Anjengo. Anchu-thengu in Malayalam means five coconut trees. This modest fort originally made of laterite rocks has great historical value in the events lead to British rule in Kerala. Anchuthengu Fort was constructed in 1695 by East India Company with the permission of the Rani of Attingal. It was the first ever fort built in Kerala by British. 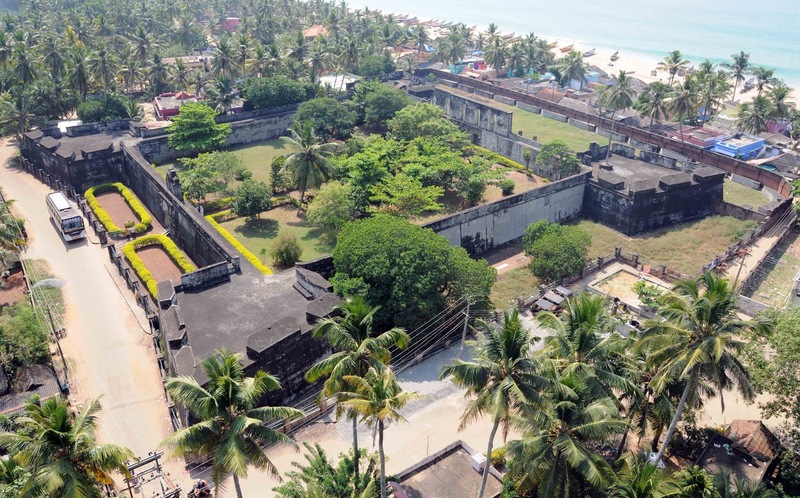 Even though the fort is not very elaborate, it offers a 360 degree breath taking view of the ocean at one side and the back waters on other side with array of coconut trees. 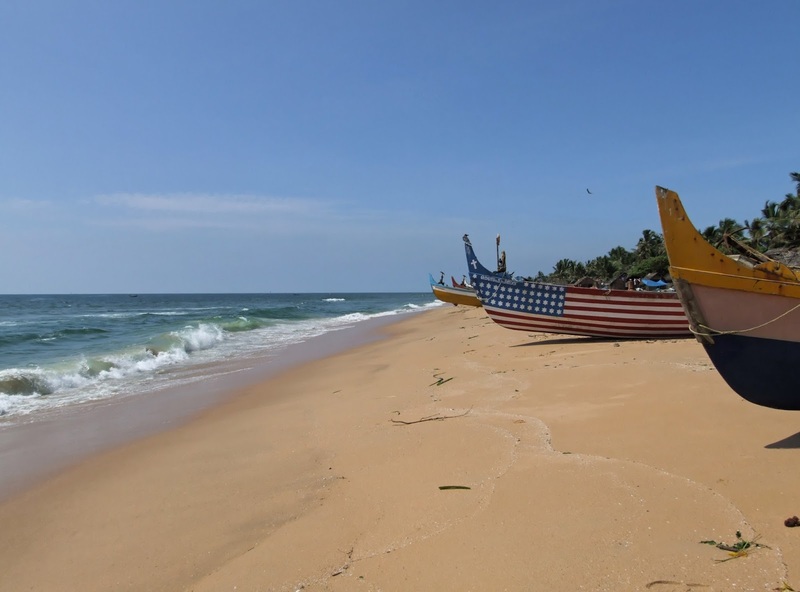 Anchuthengu beach is a non-polluted beach which is ideal for an evening walk or water sports. Koyikkal Palace is destination for architecture lovers as well as those who are interested in archeology and Numismatics. It is an ancient palace built in traditional Kerala style circa 1684. It is situated at 18km from the Thiruvananthapuram (Trivandrum is the state capital of Kerala) in a place called Nedumangad. The architecture style is known as Nālukettu, where there are four blocks of the house in all the four directions and joining at a central and open courtyard known as “Nadumuttom”. Koyikkal Palace is a grand double storied Nalukettu which houses two exquisite museums. One is the folklore museum which houses some of the ancient and rare musical instruments of Kerala like Chandravalayam and Nanthuni. There is also ancient house hold items, jewelry and other artifacts used in ancient Kerala. Another one is the Numismatics (coin) Museum. It houses some of the rare of rarest coins from throughout the world. It has ancient Kerala coins like “Ottaputhan”, “Erattaputhen” ,”Kaliyugarayan Panam”. “Karsha” is an Indian coin which is around 2500 years old and has an immeasurable archeological importance and value. 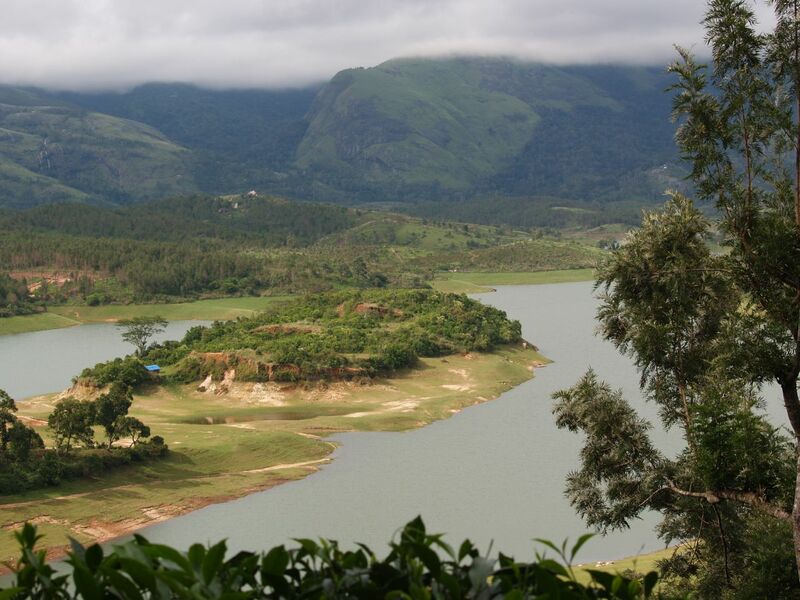 Anayirakal(Anayirangal) dam is located at 28km from Munnar on the way to Thekkady. Anayirankal dam is spread across the tea plantation and ever green forests. 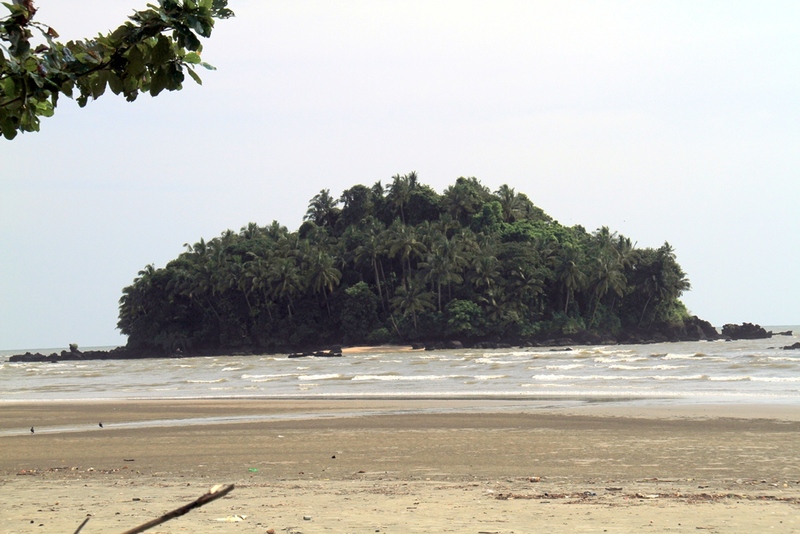 There are many small islands in the water; some of them only emerge during the summer season. There is a fairly good road reaching till the dam site. One can reach near the banks of the dam through small trails in the tea plantation. This are is particularly picturesque with the clear water, green islands and the Western Ghats standing as a fort around this artificial lake. Anayirankal dam is comparatively an offbeat destination as the regular tourists mostly conclude their Idukki visit with Munnar and Thekkady. There is an interesting story behind the name of this Dam. Anayirangal(ആനയിറങ്ങല്‍) in Malayalam means “Elephants come down” – may be for drinking water in the Dam. There are many tribal settlements in the islands of Anayirangal dam. There is no regular boat service available to reach these islands. It is a perfect picnic spot with serene atmosphere, fog and cool wind. One word of caution, the water may seem inviting, but make sure you do not enter into deep waters even if you are good at swimming. There are no sign boards indicating the depth of water and other possible dangers. Very good description of places to visit. I am a nature lover and definitely will visit the Canoli plot if I make my way ti kerala in two weeks time. Thank you.